Yet a few weeks before the Proms reached its climax, the world’s oldest classical music festival featured those and other rave anthems played by a full orchestra during an evening where glow sticks were swung instead of Union Jacks, and for which Beethoven – if he wasn’t rolling over – would have been reaching for the lasers strafing the ceiling of this most venerable of concert halls. He admits to worrying it could have been a car crash, however. “I felt a lot of pressure because I didn’t want to score an own goal at such a high profile event. But once we sat down with Pete we realised there was so much dance music that really lent itself to this. 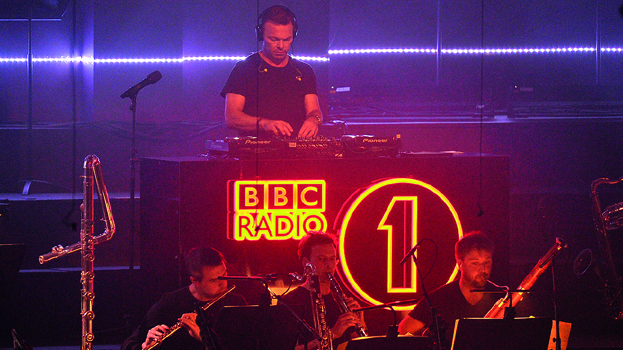 Heard by millions during the live broadcast on Radio 1 and subsequently on BBC iPlayer, as well as by the full capacity crowd at the Royal Albert Hall, the Ibiza Prom was probably the Heritage Orchestra’s biggest gig to date, but it was far from the first time they had performed classical renditions of contemporary music. A few weeks earlier saw them interpret Goldie’s ‘Timeless’ at the Southbank Centre, the same venue where they have performed versions of Joy Division, as well as Vangelis’ Blade Runner soundtrack. Their vocal guests have included Dizzee Rascal and Beardyman, alongside other collaborators including James Lavelle, SBTRKT and Plaid. Jules explains that collaboration has always been the driving force behind Heritage Orchestra ever since he — then a music student equally enthused by Richard D James as Richard Strauss — put together a group of musicians for the orchestra’s creative director’s Chris Wheeler’s Heritage club night at London’s Cargo in 2004. “We’ve worked with artists we feel haven’t compromised their musical integrity,” Jules replies, when asked what binds such a diverse range of collaborators together, before stressing that the meeting ground between the classical and electronic worlds is fecund for both. Meaning Jules quickly dismisses any notion that classical is more “highbrow” and “valid” than electronic music: that an orchestra are lowering themselves by playing electronic music, or collaborating with an orchestra is simply a way for dance producers to seek a prestige they don’t really deserve. “You look at an orchestra and see all these different parts — what can be up to 100 string players alone and all these other different instruments and you think, ‘That is so daunting’. But the work that some producers put into their work over the years is just as daunting. It’s not a respect everyone in the classical world accords electronic music however, with Jules claiming that “lots of people wanted us to fail”. But orchestras sharing a stage with DJs is something they’re going to have to get used to, if a recent wave of such collaborations is any indication that the ivory towers of the classical world are crumbling. Jules has also conducted the Metropole Orkest through versions of Basement Jaxx, Henrik Schwarz has just released the ‘Instruments’ album of orchestral interpretations of his oeuvre, artists such as Derrick May, Paul Van Dyk and BT have appeared with orchestras recently, and the Sunday headliner at this year’s Tomorrowland festival wasn’t some EDM superstar, but the National Orchestra of Belgium. That’s why he’s currently working on the forthcoming ‘Hacienda Classics’ concert with fellow Hacienda resident Mike Pickering and the Camerata Orchestra, which will feature orchestral renditions of the tunes that made the club the epicentre of acid house in the ‘80s and ‘90s. Get tickets. As a work-in-progress, Graeme’s loathe to reveal more aside from saying “it will be more DJ-based” than other collaborations, although secrecy hasn’t stopped them selling out two nights at Manchester’s esteemed Bridgwater Hall in minutes. Graeme says he’s overjoyed to be performing there “because this is a classical not a club event”, but also disputes the charge that — just as the Hacienda itself was knocked down to build pricey flats — transporting its music to such a venue is the equivalent of gentrifying it and cleaning up what made it great. 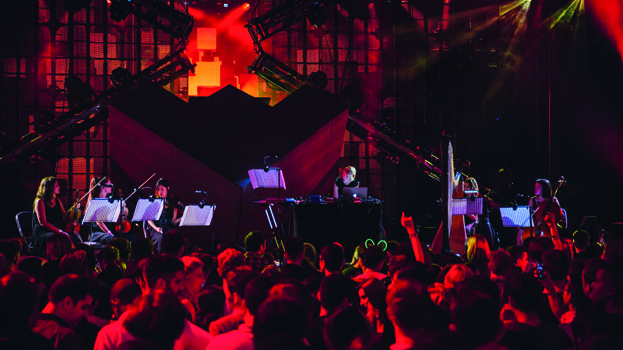 The idea of orchestras playing dance music isn’t entirely new. The two have long been intertwined: back through classically-trained producers like Arthur Russell or ensembles like The Salsoul Orchestra who reigned during ‘70s disco, to avant-garde composers like John Cage and Steve Reich in the ‘60s, who experimented with getting orchestras to play mimimalist repetitive rhythms that — whilst not explicitly designed to dance to — later influenced techno. 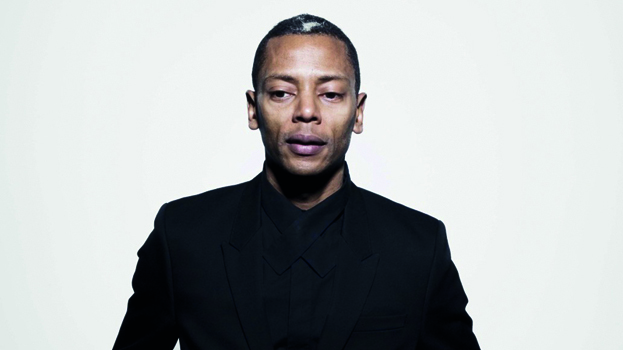 Not least Jeff Mills, who has been collaborating with orchestras for over 10 years, recently performing with the BBC Symphony Orchestra for his ‘Light From The Outside World’ concert at the Barbican in London. It’s something he sees as imperative to his drive to see techno considered as an artform on a par with classical, rather than just functional ‘dance’ music. “I'm convinced that any significant advancement in electronic dance music won't be achieved by one person, so my objective is to create as many working examples so that others can see and understand how it could work so that they might want to try it,” he says, and also considers the differences between DJing and performing in a concert hall. But, as Jeff points out, both classical music and techno are both “directed at generating a response for the listener. There is a certain practical, almost instrumentality to how the genre functions. For Emika, penning a classical symphony was literally a therapeutic process. The protean Berlin-based Anglo-Czech musician best-known for her dubstep and techno — but who has also released an album of solo piano pieces — is raising money on Kickstarter for the Prague Metropolitan Orchestra to record a symphony she wrote after being dropped by her record label. She believes classical music has an emotional resonance electronic music doesn’t because ‘you can’t synthesise the feeling of people making music in one moment together.’ But as the feelings came tumbling out easily enough, Emika found it challenging to translate them ‘into notes on paper. 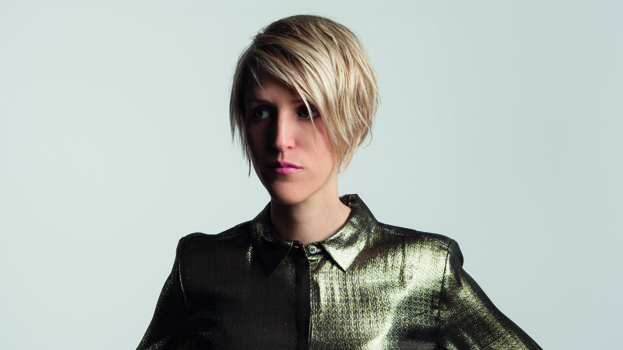 Kate Simko is another electronic artist finding her way into that world. A DJ and producer with tech house releases for labels like Spectral Sound and Get Physical under her belt, Kate was originally a classically-trained pianist, and moved to London from her Chicago home to study Composition For Screen at the Royal College of Music in 2013 because “I wanted to learn how to write for an orchestra”. Since then she’s formed the London Electronic Orchestra, who have performed Kate’s own compositions alongside versions of tracks like ‘Voodoo Ray’ at clubs like HEART in Ibiza and festivals such as Bestival, whilst Kate has also kept her hand in with house music, and will soon be releasing the ‘Polyrhythmic’ album with Tevo Howard. “Since learning how to write for other instruments I definitely use them in a way influenced by electronic music,” she ponders. “There’s lots of riffs and repetition in LEO and it has the atmospheric sensibility of electronic music. The harpist says I write for the harp in a very different way than classical — doing rhythmic things where it cuts through against the beats. And I’m definitely not writing typical classical basslines! A lot of times I’ve handed orchestras the sheet music and they’ve been like ‘Whoa! This is weird!’ But I’m not trying to write classical music that sounds like it comes from a different era — I’m trying to write an expression of what I do now. However, whilst Kate’s dance music pedigree might have helped her with her compositions at music college, it was a hindrance when it came to getting accepted in the first place. “I moved to London because universities I spoke to in The States really looked down on electronic music as a gimmick — I would have been starting at zero with them,” she explains. “Whereas in London when I told them I was DJing at Fabric and they said that was very prestigious then I knew this was where I needed to be! I think there is a change — not everywhere — but when I did the Britten Theatre some older very conservative professors turned up and they seemed pretty excited. But if electronic musicians can give classical music a shot in the arm, could the same happen in reverse? Gabriel Prokofiev certainly thinks so. 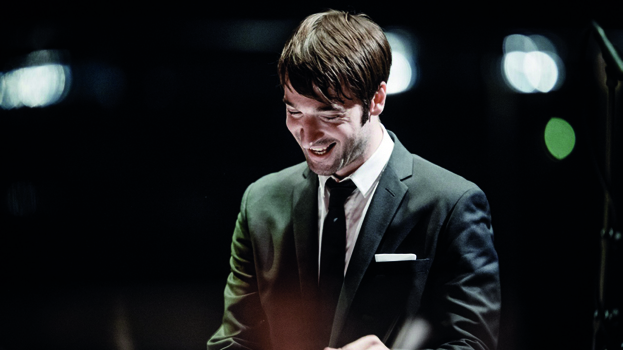 The grandson of renowned Russian composer Sergei Prokofiev, Gabriel has continued the family tradition by penning cello concertos for traditional orchestras like the St. Petersburg Philharmonia, yet also composed a ‘Concerto For Turntables and Orchestra’ which has been performed by DJ Yoda and The Heritage Orchestra. He’s also dropped his famous surname to produce grime as Medasyn, and electro as Caspa Codina. Nonclassical was also inspired by his time studying electroacoustic music in Birmingham in the ‘90s, where he’d be poring over composers like Stockhausen during the week, then sweating out in clubs like House Of God at the weekend. “Some of those nights were pretty relentless but it was just incredible to see people getting totally immersed in sound,” Gabriel recalls. “I knew a lot of them would love electroacoustic music but would never go to an electroacoustic night because they weren’t promoted properly. “Dance music’s meant to be more rebellious but if you analyse it it’s actually quite conservative,” he continues. “It needs to be played in clubs, and one thing I find frustrating is that you often need to fit into whatever style is popular at the time, so anything really off the wall probably won’t get played. The label has also commissioned remixes from the likes of Hot Chip, Vex’d and Thom Yorke, with Gabriel explaining that “we’ve got this house rule that you can’t bring in any of your own sounds so you’ve got to make the remix from the original recordings. As well as getting producers to “think outside the box”, these remixes also fill Gabriel’s own box when he DJs. “It’s taken me a while to feel comfortable being called a DJ because I grew up in the ‘90s when there were these massive DJ heroes who I always felt were overhyped when they’re just playing other people’s tunes. True, Carl Cox might not have to worry about string quartets taking all his bookings just yet, but Gabriel points towards artists like Franceso Tristano — a concert pianist who has collaborated with Carl Craig and has also joined the ranks of Dixon and M.A.N.D.Y in helming an edition of the ‘Body Language’ mix series — as an example of a new generation “who’ve grown up more exposed to electronic music but were playing classical music as well. It might be getting louder, but this classical movement has yet to reach its crescendo.